Caviar is actually a term used for the roe (egg) of the Sturgeon fish which has been brined or salted and allowed to mature for some time. The name caviar is derived from the Italian word “Caviale”, which itself comes from the Turkish word “Kawyar”. The best quality of caviar is produce from Caspian Sea near Russia and Iran which is also a caviar producing nation from its Caspian coast, about 98% of caviar is obtained from Caspian Sea. As per Larousse caviar was introduced to France in 1920’s following the exile of Russian princes. Charles Ritz formally launched caviar by putting it permanently on the menu at his hotel, till then caviar was known to very few people in France. 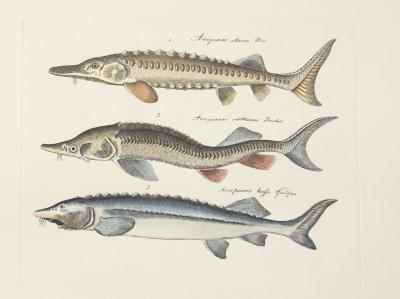 The sturgeon fish is found in various part of the world but the sturgeon fish from Caspian Sea is noted for its best quality caviar, it lives in the sea for most of its life but in winters for spawning it returns to Estuaries(An estuary is a partly enclosed coastal body of brackish water with one or more rivers or streams flowing into it, and with a free connection to the open sea. Estuaries form a transition zone between river environments and maritime environments) in temperate regions of Asia to lay its eggs. This fish has become so rare that fishing for it is now prohibited. It is obtained from the largest species of Sturgeon fish which can weigh up to 1500 kg and can live for around 120 years. Beluga Caviar are firm, heavy, well separated and the largest eggs but are also very delicate, so if the egg burst by any chance, they leave lots of oil behind them. The eggs vary in color from Silver Grey to Dark Black Grey. The texture of beluga is creamy and taste is buttery. The Beluga caviar is an absolute treat for any food lover but can also be little heavy on the pockets as this is the most expensive of all the caviar’s or any other exotic food in the world. The reason why beluga is expensive is based on its taste, flavor, large size of the egg and its supply which is very less. Note: Beluga Sturgeon in no way related to the Beluga Whale. They both are two different fish. 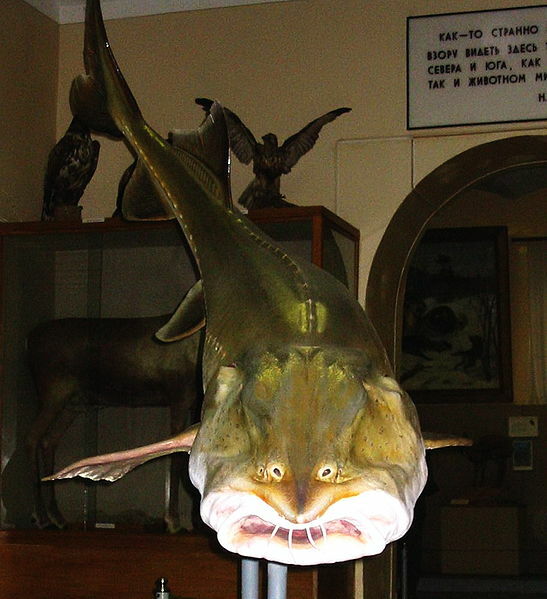 Another large sturgeon fish found in Caspian Sea which weighs up to 1000 kgs and can grow to 10 feet in size. Second to beluga in price but considered as favorite of all caviar by the food lovers due to its unique nutty flavor and stronger taste then beluga, this is mostly because the fish swims in the deeper in cold water of the Sea affecting the diet of the fish. The eggs are medium in size varying from yellowish grey to dark brown and sometime golden in color which is rarest of all and has very rich flavor, known as “Royal Caviar”. 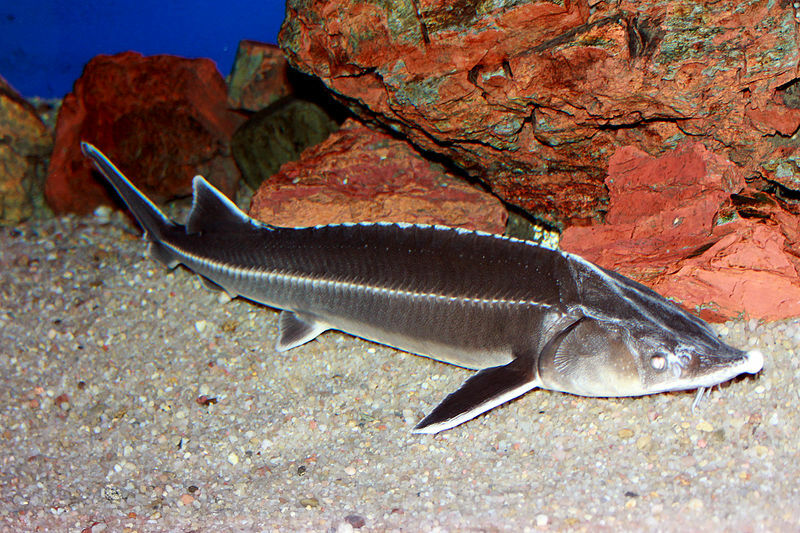 Small size sturgeon found in Caspian Sea which grows up to 7 feet and can weigh around 100 kg. The egg is small and less expensive when compared to Beluga and Osetra. 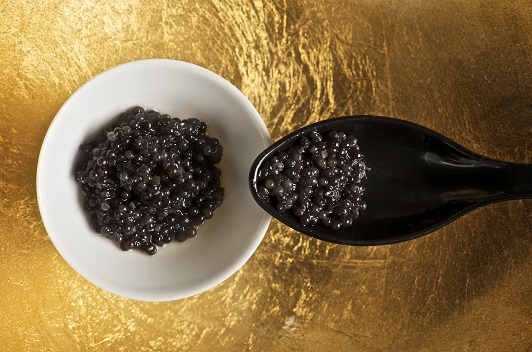 The taste of sevruga has an amazing resemblance with taste of beluga caviar. The size of this caviar is far smaller and have a lustrous gray to lighter gray color. This is also the most abundant of all caviar. Note: – Beluga caviar is always sold in blue tins, Osetra in yellow tins and Sevruga caviar in red tins. Also known as “Imperial Caviar”. It is a caviar obtained from a smaller species of sturgeon fish found in Caspian Sea and Black Sea. This fish weighs up to 20kg and can grow up to 3 feet. This fish is classified under endangered species and is almost extinct and poaching and fishing of sterlet in a crime. The once very popular caviar can hardly be seen in market because of decline in the number of sterlet fish. 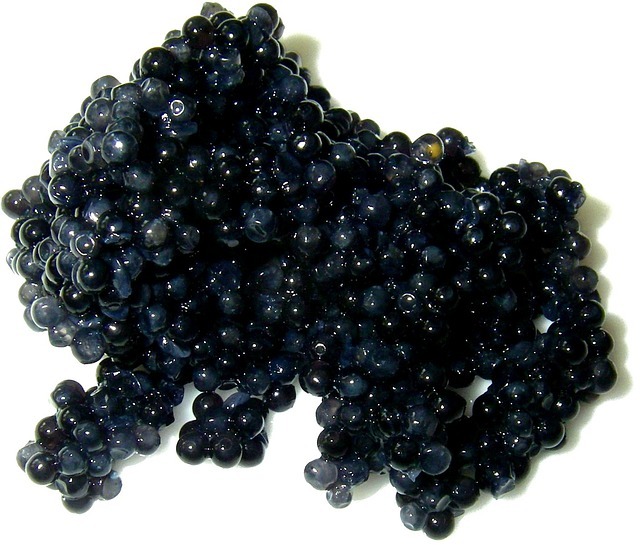 This caviar has always in demand due to its appearance which is almost similar to sevruga caviar. The color of sterlet caviar can vary grey to near black, the taste and flavor of this caviar depends upon the diet of the fish which is unique. Sterlet was once reserved only for Russian czars, Iranian shahs and Austrian emperors for its unique flavor and taste. The yellow color caviar obtained from the “Albino Sterlet” which is very rare and is known as golden caviar due to its color. Sevruga caviar when blended with osetra caviar which has been heated in saline solution is known as pressed caviar or “Pressed Sevruga Caviar”. This is done in order to enhance the flavor of sevruga. Also known as “Japanese Caviar”, this caviar is obtained from one of the sturgeon fish which is found in Amur River basin based in China and Russia. Some claim that this fish is also found in “Sea of Japan” but it is yet to be confirmed. Sometime cheaper roe of salmon, whitefish, cod, lumpfish, etc. is sold by the name of caviar but they don’t fall in the caviar category. 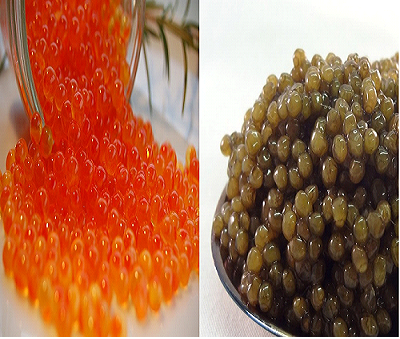 Caviar word is exclusively given to the roe which is obtained from sturgeon fish only. Only fresh caviar should be purchased as they have very less shelf life. Only required quantity should be bought and if more don’t store for more than two days. Search for the word “Malossol”, which mean the caviar is of high end and is lightly salted to prevent freezing. Buy only from high end food store and avoid supermarket. If possible taste before buying. Storage temperature for caviar is 30 degree Fahrenheit. Should be used within 3 days after opening. Never deep freeze as it will destroy the texture and quality. Should be served with bland food as some may find caviar little salty. Serve in glass bowl placed over ice to preserve it longer. Serve with non-metallic spoon to avoid oxidation of caviar. “Mother of Pearl Spoon” is famous for caviar serving. Food to accompany with caviar is potatoes, toast and the very famous Blini.